At Jeremiah's Automotive, we specialize in the complete maintenance and repair of all foreign and domestic vehicles. We are full service repair facilities utilizing the latest diagnostic equipment and computerized repair manuals to ensure your specific vehicle is maintained and repaired to the latest factory specifications. 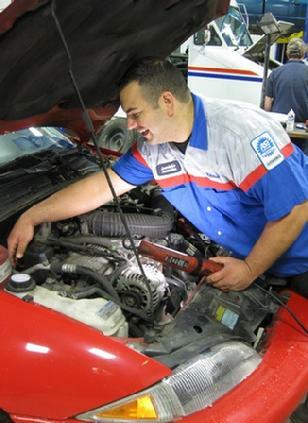 Our technicians are fully trained and ASE Certified and work hard to get you back on the road quickly. We are proud to feature high quality Jasper Engines and Transmissions which come with a 36 Month / 100,000 mile warranty plus a name you can trust and recognize here in Heath, Ohio. Routine maintenance is important to the performance and relability of your vehicle, and there are several good sources available to you about maintenance. 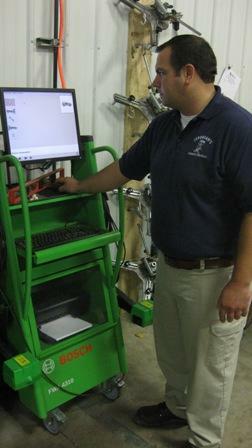 First among them is the staff of technicians at Jeremiah's. Others include the Car Care Guide by the national Car Care Council. You can also visit Web sites of the National Highway Traffic Safety Administration for information about safe operation of your vehicle, including proper use of child-safety seats. And the AC Delco site provides a guide to maintaining those parts of your car that need the most attention.